Religious Education is an essential component of the school curriculum and plays an integral part of life at Mary Immaculate Parish Primary School. 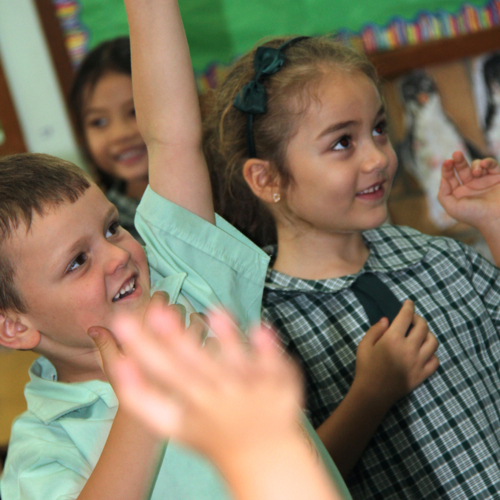 The Religious Education Curriculum provides allows us to support students to connect with the Catholic Christian tradition. Through the teaching of Religious Education, we aim to nourish and develop the faith of students in partnership with the family, parish and local community. The Religious Education Curriculum has two dimensions; Firstly, developing religious literacy to enable students to participate in the life of the church community. Secondly, nurturing the students’ spiritual and faith development.